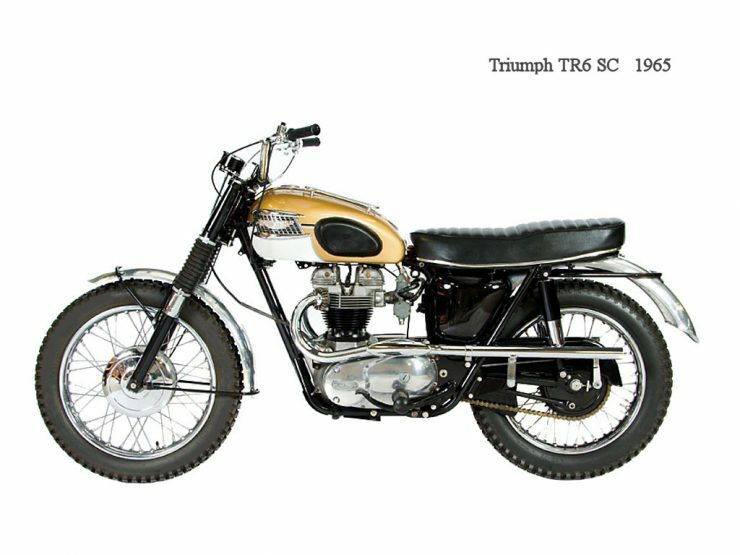 The Triumph TR6 Trophy, otherwise known as the “Desert Sled” is perhaps best remembered as the bike Steve McQueen used in “The Great Escape” – albeit a TR6 that had been camouflaged to look a little more German. Over the course of its production, the iconic Triumph TR6 scored victories in world-class races like the Barstow to Vegas 150-mile desert race, the Big Bear Run, the Hi-Mountain 200-mile Enduro, and the AMA National Hare & Hound Championship – to name just a few. This is the British bike that Americans adopted, hot-rodded, rode, crashed and generally had whole bucket loads of fun with. It became known as the “Triumph Desert Sled”, a moniker that stays with the model to this day. Back in the post Second World War era of the fifties, even as the British were just being allowed to get rid of ration books at long last, British industry was told by government that they needed to export or perish. Fail to export and an industry would fail to get the materials needed to make its products. This was the primary impetus behind the push to send nice sports cars to the United States – where the Jaguar XK120, Austin-Healey, MG and Triumph sports cars became quite popular. And this was the motivation for Triumph to create motorcycles with nice big engines that were to be the weapon of choice for desert racing. Britain’s green and pleasant land is not known for its deserts but out west in the United States with such exotic places as Las Vegas to race through the dust to, desert racing had a cult following that the Triumph TR6 Trophy served well. The story of the Triumph TR6 Trophy begins with its predecessor the Triumph Thunderbird, a motorcycle that rocketed to stardom because it was the bike ridden by Marlon Brando in “The Wild One”. This bike was built around the Triumph Speed Twin engine which had been designed by Edward Turner who also has the distinction of having been the designer of the Ariel Square Four and of Britain’s home grown hemi-head V8 that powered Daimler luxury cars and the Daimler SP250 sports car. The Daimler SP250 sports car was used by British bobbies attempting to catch “ton up” boys on their café racers and convince them to be more safety conscious. A case of speed thrills versus speed kills. Edward Turner’s motorcycles were a favourite of the speed thrills crowd and his V8 sports car favoured by the speed kills policemen. There are no British bobbies out in the California and Nebraska desert to dampen the enthusiasm of the speed thrills guys so Triumph increased the capacity of Edward Turner’s Speed Twin from 498cc to 649cc in which guise it started out generating 42bhp and was progressively improved until it pushed out 46bhp at 6500rpm making the bike capable of outrunning even the most determined desert rattlesnake. This “California here I come” motorcycle first hit the dealerships in 1956. Back then it was called the Trophy-bird model, that name intended to mark it as the sibling of Marlon Brando’s Thunderbird. The bike was also the sibling of the 1953 Triumph T110 Tiger which had been called the T110 because it could do 110mph. The Triumph TR6 engine’s cylinder head was upgraded from the iron one of the Speed Twin to a lightweight alloy one called the Delta Head with larger valves and more cooling vanes to permit the compression ratio to be raised to 8.5:1. Thus there were three bikes in Triumph’s line-up. The Thunderbird was the touring bike, the T110 Tiger was the sports bike, and the new Triumph TR6 Trophy was the stripped down off-road/on-road machine with narrower alloy fenders, off road tyres, and a quick detachable headlight so it could be ridden to the desert race, have some road bits like the headlight stripped off, then raced, and assuming all was well and not bent out of shape the road bits could be easily put back on and plugged in for the sedate ride home. 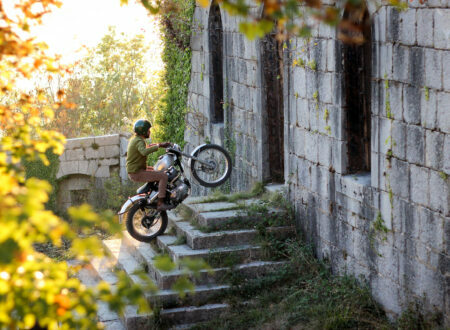 The bike itself tipped the scales at 365lb dry making it a lively handling motorcycle with a nice big gutsy engine. Interestingly in 1959 when Triumph introduced the Bonneville, named after the legendary Bonneville Salt Flats famous for the speed trials held there and the land speed records set, that they didn’t initially style it like the TR6 Trophy. Within a year after hearing customer feedback Triumph re-modelled the Bonneville to look like the TR6 Trophy. So the TR6 Trophy was the bike with one Amal carburettor whilst the Bonneville was the bike with two. Otherwise they looked similar. By 1957 it was decided that it was not enough for the bike to “go like the clappers” but it also needed to stop so the front brake was enlarged to 8 inches. That still left room for improvement so in 1968 Triumph upgraded that 8 inch front brake with twin leading shoes, a modification that made such a significant improvement that many riders of older bikes retro-fitted the new brake system, something that’s not too difficult to do. 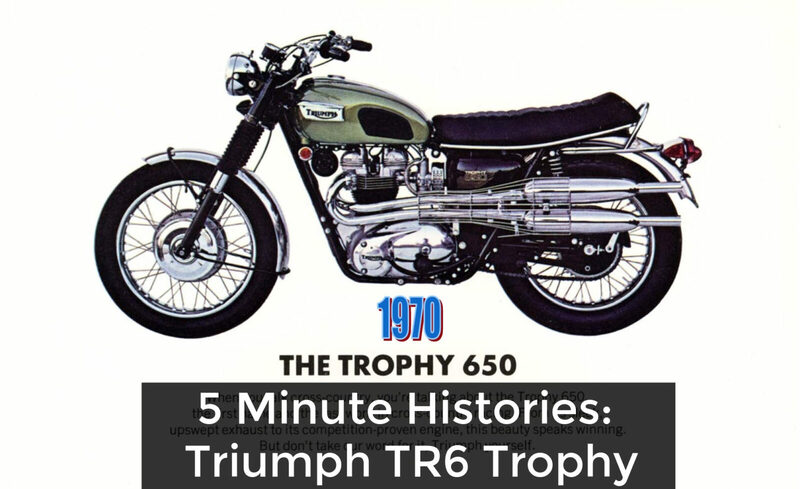 The other major modification to the TR6 Trophy was made when Edward Turner personally witnessed a frame failure of a TR6 Trophy during the 1960 Big Bear Run that resulted in the death of the rider. For the 1961 model year the bikes received a stronger steering head to ensure such an event would not occur again. Up until the late fifties Triumph were building motorcycles with separate engine, gearbox and chain drive assemblies all secured to plates welded onto the frame and bolted together. The end result of this was higher than necessary maintenance and the difficulties in streamlining mass production. Something had to be done to unify the parts and make them lighter and the answer was to switch to a unit construction design. For the Triumph TR6 Trophy this was done for the 1963 model year. The switch to unit construction was accompanied by a new lighter frame improving the bikes in the best possible ways. 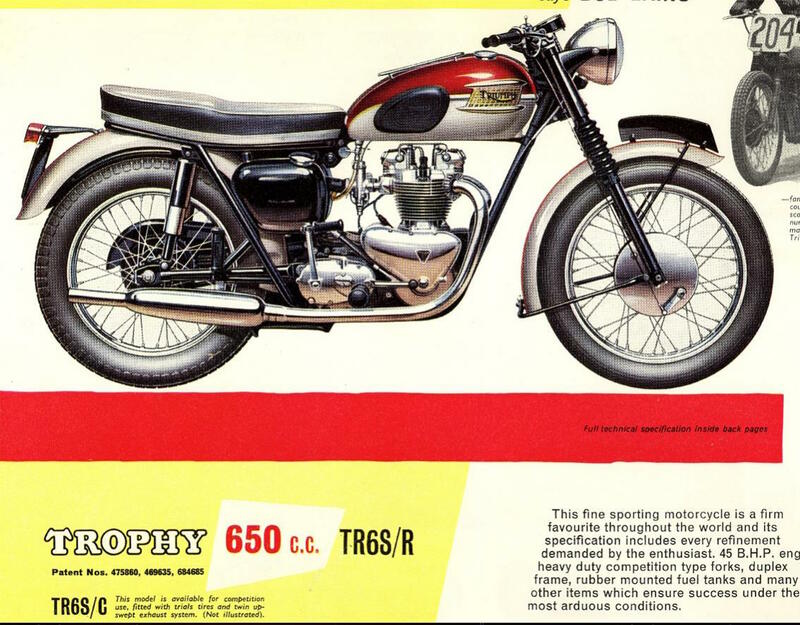 By this time Triumph were making the TR6 Trophy in a number of different sub-models to suit the different markets of the west and east of the United States. 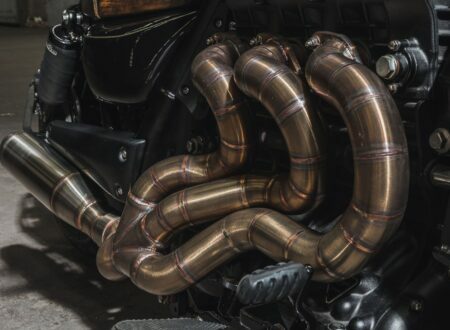 The western bikes having the high mounted exhausts needed for off road work and the eastern bikes having low mounted ones for road use. In 1967 the engine compression ratio was upped from 8.5:1 to 9.1:1 ensuring the engine would produce 46bhp but also that it would require the “super” or “premium” gasoline. In Britain by the time we reach the year 1970 both her car and motorcycle industries were shifting into increasing problems largely caused by poor decision making at the highest levels of management exacerbated by increasing levels of worker discontent and the resulting trade union actions. Sadly the Triumph TR6 Trophy did not escape these effects that would lead to much of Britain’s automotive industry entering into self-destruct mode. The Triumph TR6 Trophy did need a few improvements and these were not difficult to figure out, just looking at the Japanese motorcycles that were already taking over the market spelled things out. 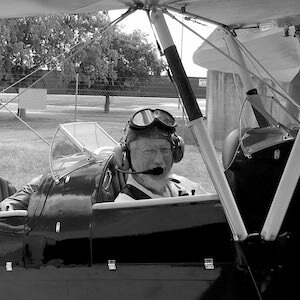 What was needed was a decent electric starter, a disc brake for the front (front and back would have been even better), a five speed gearbox, and some work to balance that twin cylinder engine so the vibrations it caused were subdued. However, instead of doing the necessary and obvious management of BSA/Triumph decided to reduce the oil capacity of the engine by using an oil in frame design. The result was a botched job that required a cylinder head re-design so the engine could be fitted in the new frame, and the whole thing produced a bike that was now prone to overheating. The TR6 Trophy had built its reputation as a desert racer. Deserts are known to be hot places and racing an engine makes it even hotter. 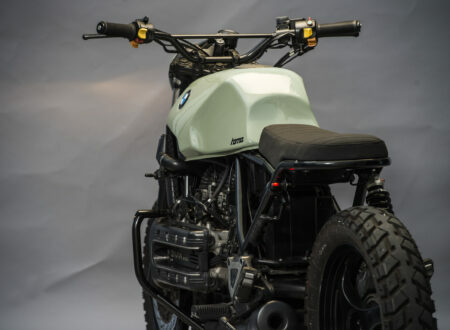 So the whole concept seems to have been dreamed up by someone who simply hadn’t thought about what had made these bikes so popular in the first place. The original 1971 oil in frame design raised the seat to an uncomfortable 34½ inches high in order to fit the engine in. I guess it had the advantage of getting the seat of the rider’s pants a bit further away from those nasty rattlesnakes. This was not good and work was done to get the seat height back down to 32 inches. 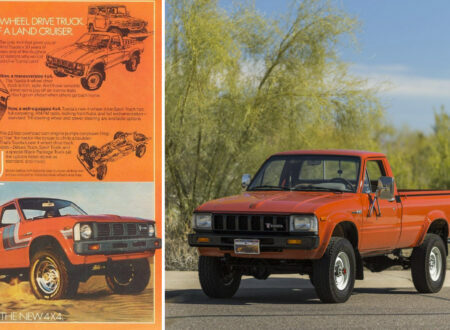 But the harm had been done and what had once been the much loved “Desert Sled” was no more. In 1973 the Triumph TR6 Trophy was replaced by the TR7 Tiger. 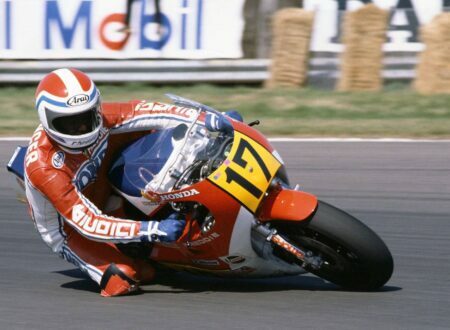 The new bike had a 750cc engine, five speed gearbox and a front disc brake. 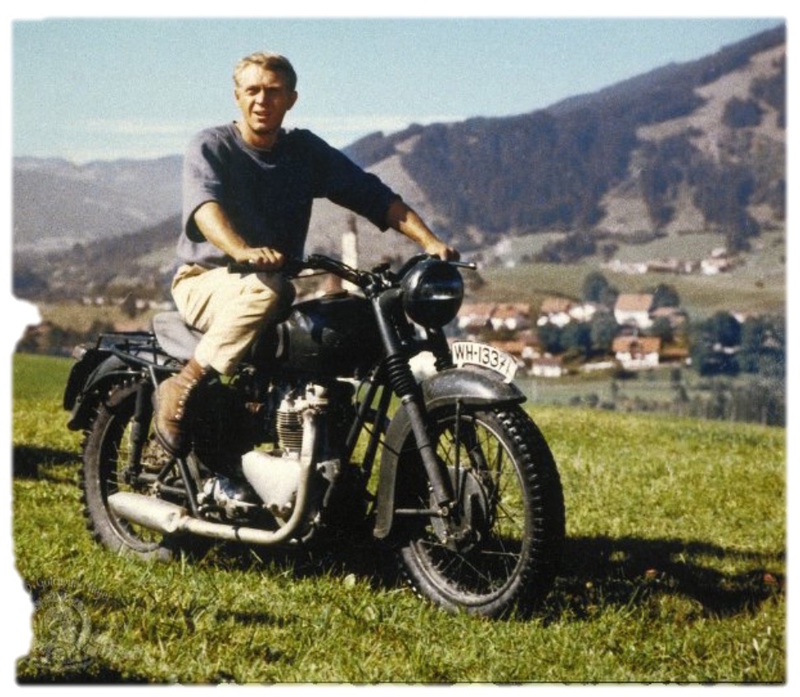 But it wasn’t the iconic Triumph TR6 Trophy, Steve McQueen’s “The Great Escape” bike, the Triumph Desert Sled. Today it’s still possible to buy an original TR6 for reasonable money, and there are even a few original Triumph desert sleds around – although to be fair they’ll need a good restoration if they haven’t had one already!